Meatco Wholesale Meat products Distributor has been supplying to their valued clients with the very best meat products through their commitment to quality, dependability and service. 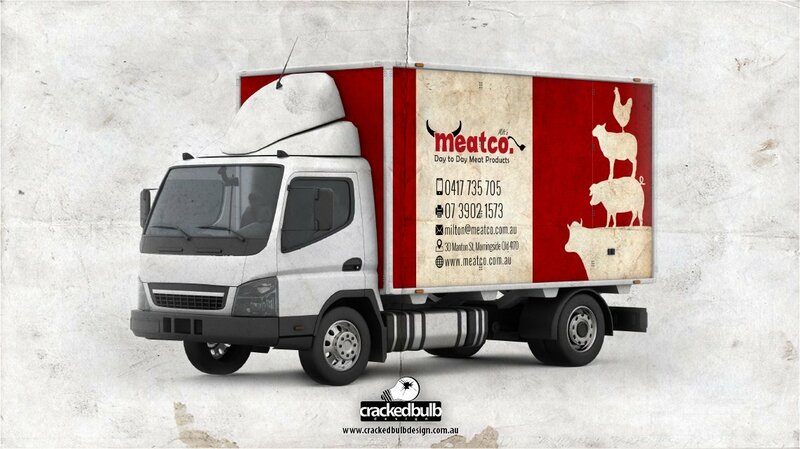 A big thanks to Meatco for giving Cracked Bulb Design the opportunity to design their vehicle wrap design. I approached Ahmet to design the brand and website for my new company. His professionalism, ideas and attention to detail are fantastic. He understands my needs and makes himself available anytime should I need to make changes, I’m so happy to have met this guy and look forward to many more business ventures with him.